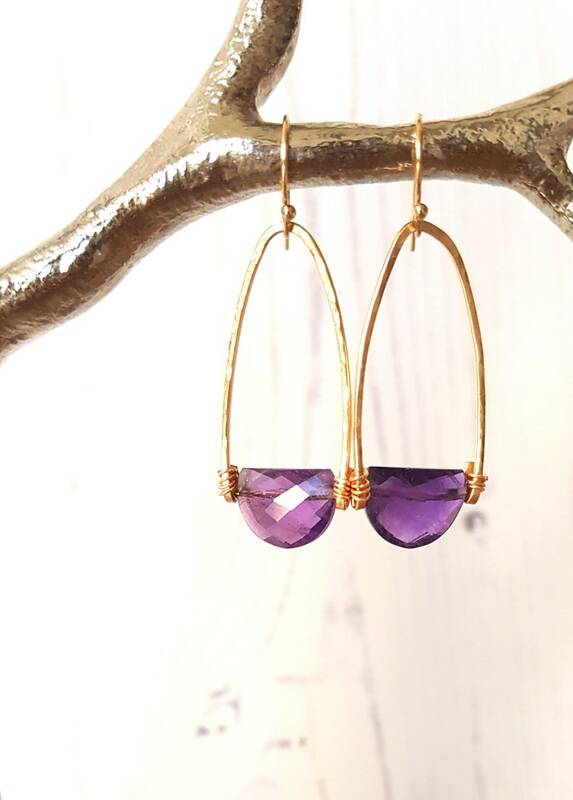 These faceted amethyst gemstones were cut especially for my shop and catch the light beautifully. 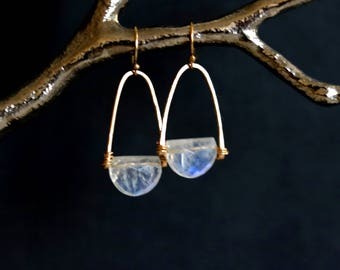 I've hammered and textured wire to form these unusual hoops. 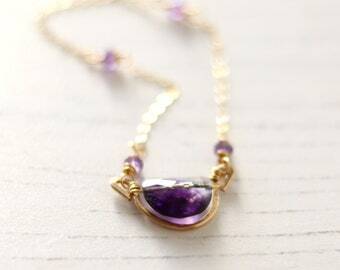 Amethyst is the birthstone for February birthdays. 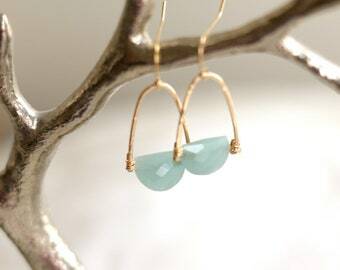 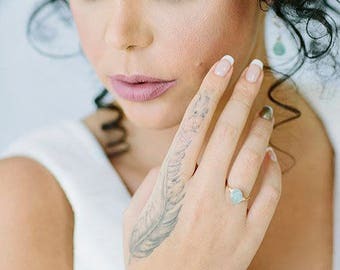 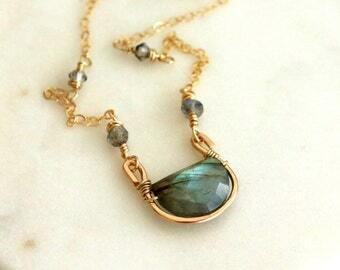 Model is wearing hers in labradorite.